NAPLES, BONITA SPRINGS AND ESTERO Closed Sales 	The number of closed sales year-to-date rose slightly when compared to the same period last year, with 9,162 closings vs. 8,887 in 2017. 	Closed sales priced above $2 million increased 16.5% over the first eight months of 2018 to 409 sales compared to 351 during the same period the prior year. New Listings/Inventory 	Available inventory on September 1, 2018 consisted of 6,156 residential units compared to 6,159 a year ago. This represents 6.1 months of supply based on the current sales pace. 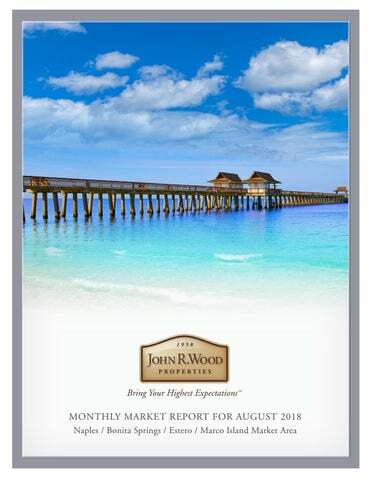 	During the 12 months ending August 31, 2018 there were 17,547 new listings added to the market, a decrease of 14.1% from the prior 12 months. Average and Median Sales Price 	At $561,355 the average sales price over the past 12 months was 5.8% above the same period last year. The median price rose 2.3% to $329,188 	Average sales price on a year-to-date basis for properties priced above $2 million was $3,895,600, a decline of 20.3% from the prior year. MARCO ISLAND Closed Sales 	There were 624 closed sales during the first eight months of 2018 compared to 650 for the same period last year. 	During the past 12 months the number of closed sales decreased by 8.4% to 827 compared to 903 during the same period in 2017. New Listings/Inventory 	Available inventory on September 1, 2018 consisted of 507 residential units, down from 644 last year. This represents a 21.3% reduction. 	During the 12 months ending August 31, 2018 there were 1,250 new listings added to the market, down 12.8% from 1,434 during the prior 12 months. Average and Median Sales Price 	The average sales price over the past 12 months increased 7.7% to $768,976 compared to $714,068 a year ago. 	Median price for the past 12 months increased 2% when compared to the prior year, from $569,997 to $581,521. John R. Wood Properties, Bring Your Highest Expectations. “The source of this real property information is the copyrighted and proprietary database compilation of Southwest Florida MLS, Marco Island MLS, Copyright 2018, and the proprietary compilation of that data by John R. Wood Properties, its employees, and professional statisticians hired by the Wood firm. Accuracy of the information is not guaranteed; it should be independently verified if any person intends to engage in a transaction, relying on such data.” The Marco Island statistics include only those sales and current listings on Marco Island and Key Marco. Properties with direct waterfront access indicates there are no bridges or the Marco Island High Span Bridge to navigate to open water. Properties with indirect waterfront access indicates there is at least 1 bridge, not including the Marco Island High Span Bridge, to navigate to access open water. Properties with frontage on the golf course. Properties with direct views of the Gulf of Mexico and direct beachfront access. Properties with direct views of the Gulf of Mexico with NO direct beachfront access. Properties with inland similar housing views. Properties with views of a preserve or mangroves. 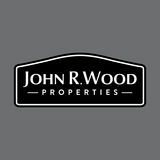 John R. Wood Properties, Bring Your Highest Expectations.